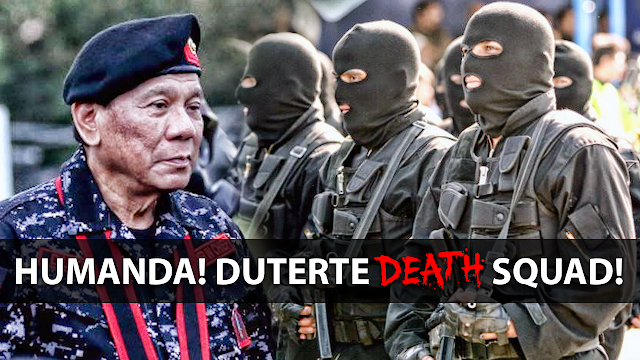 Duterte Death Squad, BUBUOIN pantapat sa grupo ng NPA! An armed civilian group referred to as “Duterte Death Squad” will be formed in hopes to counter the New People’s Army (NPA)’s sparrow unit says President Duterte. President Duterte adds that his version of the sparrows will focus on looking for the prospective NPA members and kill them. Apart from this, the President says that he would feel satisfied if each member of the armed unit would be able to bring in at least 1 or 2 NPA rebels. The President also says that he tried to talk to these communists but instead they continued to kill soldiers and police. As we recall, there have been numerous attempts at peace talks between the Duterte administration and the CPP-NPA. One of the President’s allies, Senator Aquilino “Koko” Pimentel III says that the people should not take the President seriously on the death squad. This is because no one is authorized to kill, not even the President. But according to the Armed Forces of the Philippines Chief Gen. Carlito Galvez Jr., the President’s statement was a result of the killings of 136 police, soldiers, tribal leaders, and government officials over the past 3 years. Meanwhile, Interior Secretary Eduardo Año says that the opposition and the communists are reading too much into the statement and that they are intentionally creating fear among the Filipinos.